On June 14th 2008, about 4 months into starting and learning BikeTrials, I brought home my first stack of wood pallets after attending the Red Bull Sponsored BikeTrial in Seremban, Negri Sembilan. 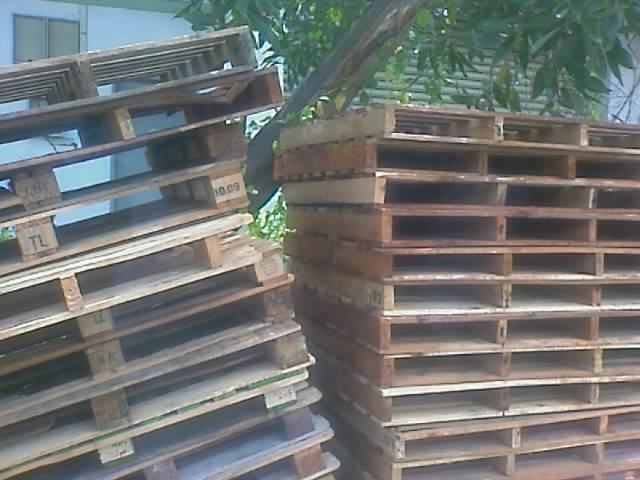 Soon after that, I started practicing on the wood pallets. I set up some mock sections to learn balancing and pedal hops. Gradually, the sections got bigger as my riding improved. I found more pallets and graduated to higher grounds... LOL. And now I have wood pallets stacked all over my house. Some of the pallets have begun to rot and come apart.... not safe to ride on any more. 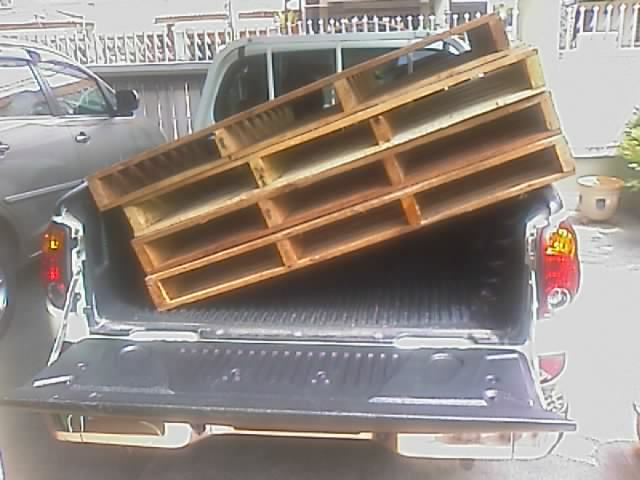 I took the old and rotten wood pallets on my pick-up and managed to dump them at a garbage land fill. Two weeks ago on April 4th, I went hunting for wood pallets around the Nilai 3 warehouses in Negri Sembilan and found plenty!!! After driving around some of the abandoned warehouses, I came across a huge stack of giant size pallets. I packed six of them onto my pick-up and took them home.... in two trips... LOL. I arranged this stack to hopefully use it to learn and practice the difficult side hop. I sawed up two of the wood pallets and made them into benches, which I will use to practice balancing and rear wheel hop-up and pedal kicks. I could also use the benches to stack on top of other pallets to create any challenging section I want... LOL. This coming Sunday, I am planning to go back to Nilai 3 to get more of the giant wood pallets. Currently, I am thinking of making more benches of various heights. Since the time when I first started out with training on wood pallets, I have not looked back. I would not have been able to learn so many BikeTrial skills or come this far without those wood pallets. And thus... I am really looking forward to this Sunday. Gonna grab some more wood pallets and built me a BikeTrial Training Park... LOL.